Earlier this year, we told you that Greek yogurt was the fastest growing food product in the country. Sales have increased more than 2500% in five years and now represent 19% of the yogurt marketplace compared to just .7% in 2006. 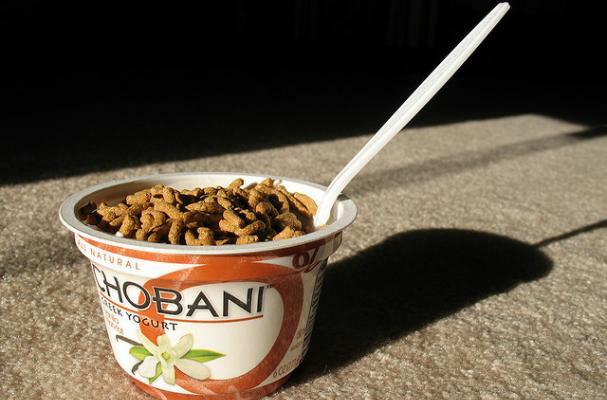 Greek yogurt is a $1.5 billion annual industry. Turns out America's newest breakfast obsession might not actually be from Greece at all. Margy Slattery offers a fascinating look into the rise of the product in an article for The New Republic. In the article Yale professor Paul Freedman discuses the origins of Greek Yogurt. For one, the type of strained yogurt marketed in the U.S. as “Greek,” he says, is actually most closely associated with nearby parts of Eastern Europe and the Balkans, particularly Bulgaria. One of the reasons for the name might be simple marketing. A Harvard anthropologist Ted Bestor theorizes that Syrian yogurt or Lebanese yogurt or Iraqi yogurt wouldn't sell as well here in the United States. So basically it is just a "style" of yogurt? I have tried the Fage Greek Yogurt and found I really like it, even the non-fat variety. To me, it is very thick and rich, not bitter tasting and astringent. I do not care what is on the label, if I like the product I buy it. Unfortunately, since I live in such a rural area that the nearest Walmart is over 25 miles 1 way and a Whole Foods Store is about 3 hours drive 1 way, I do not have much choice/selection in the foods I can purchase. Jules, just drain the yogurt you can get overnight in the fridge - the coffee filter idea will work fine or you can use a doubled piece of cheesecloth. It's less bitter and astringent because some of the whey has been drained off. Enjoy! I drain my regular yogurt in a coffee filter and cone, resulting in a much thicker product. I've suspected that process is at least part of what so-called Greek yogurt is all about. Yes/No? @Jules, yes, just a style. If you use the method seamarie suggests, you can get similar (and I think, better) product than if you buy "Greek" yogurt. I just let it drain overnight in the fridge. Sometimes you need to add a bit of the whey back in to get the right consistency. Easy to do with any plain yogurt. My family has been making Greek yogurt longer than its been marketed in America. But it's the same thing as the whole baklava thing. Other cultures make it, but no one knows what else to call it. It's Greek, period. Just b/c mire cultures make it, doesn't mean the Greeks didn't also. They get the credit for marketing it first though. That's bunk - what many people associate as Greek foods; i.e tzatziki, gyro/donair, and baklava actually originated from Turkish cuisine. Don't believe me? look it up.